Situated in the heart of the Yarra Valley, Outlook Hill Vineyard is a private family owned and run winery. 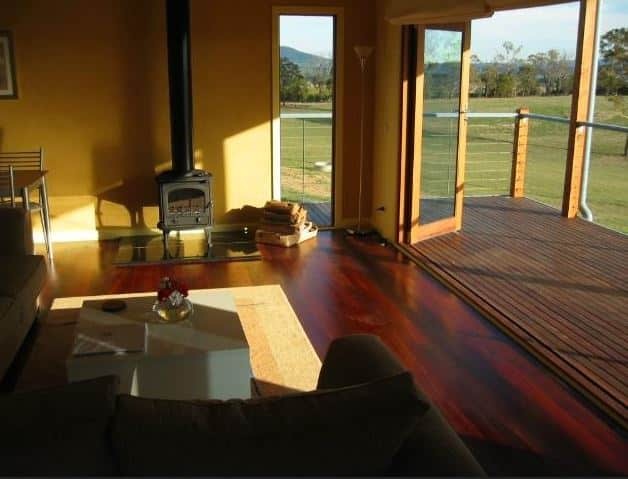 This beautiful winery overlooks the magnificent hill ranges of the Yarra Ranges and the vineyard’s secluded peaceful area creates an inviting and tranquil setting perfect for the guests to stay, dine and relax. The vineyard’s convenient location in Healesville makes it a popular winery venue amongst visitors to the Yarra Valley. Outlook Hill Vineyard offers self-contained spa suites, cottages and single rooms for guest accommodation. These elegantly decorated rooms with warm interiors are perfect for honeymooners, families and singles alike. The vineyard also offers complementary continental breakfast and a bottle of wine to all its guests staying here overnight. 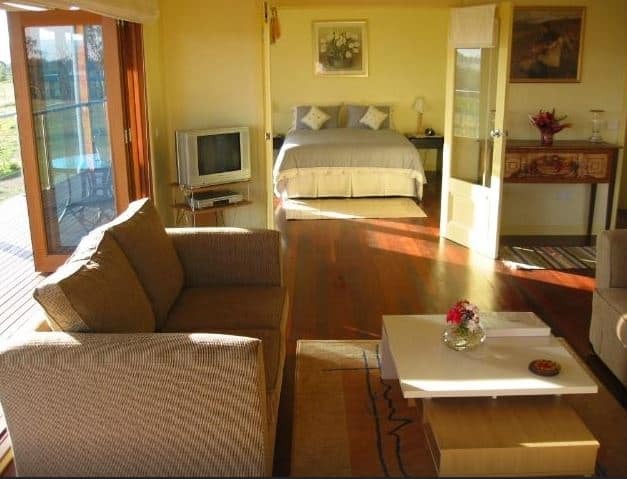 Each of the rooms offer a spectacular view of the mountain and the distant pastures and the adjoining countryside. Guests can also order in-room massage and spa services during their stay. Experience a luxurious stay within this serene boutique winery setting and enjoy your accommodation within this working vineyard. Take a behind-the-scenes winery tour and explore the privately operated vineyard and its cellar door. The winery is also near to all of Healesville’s major tourist attractions which makes this a very convenient location for your say in the Yarra Valley. 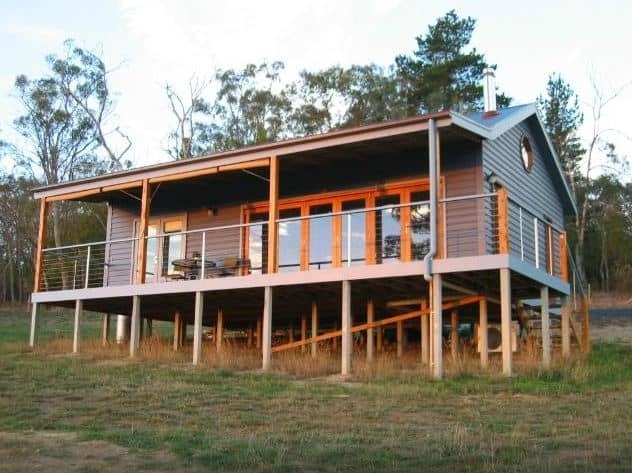 Click on the link below to book accommodation at Outlook Hill today.